We often get asked whether a customer should remove the existing label before putting on their custom label. This is a personal preference, but does create a cleaner looking bottle. 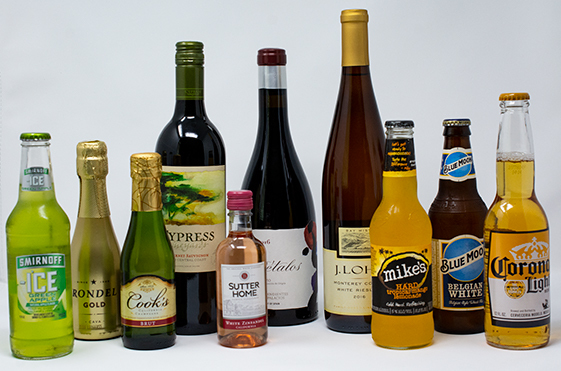 Removing the existing bottle label sounds like it can be a daunting and time consuming task. In all actuality, it’s not difficult and just takes a little time and a small amount of elbow grease! I know, who wants to put elbow grease into this? But, really, it's not that difficult and can easily be done while watching your favorite TV show or listening to the radio or a podcast! Whether the original label is self-adhesive or has a glue backing, you will need to raise one corner of the label and peel the original label off. You can easily do this with your fingernail or with a razor blade being careful not to cut yourself. Some labels, such as a water bottle label, will come off fairly easy. You should be able to remove the majority of the label by just peeling it off. There will be some sticky glue residue remaining, and this is where the work comes in. If there isn’t a lot of glue left on the bottle, you can place the personalized label directly over this area to cover it up. However, if you would like to start with a clean bottle, here is how to remove the remaining gooey pieces. To remove the “sticky residue,” we have found soaking the bottle in a sink filled with water for a few minutes makes the removal process easiest. It’s best not to use hot water if the bottle has wine or champagne in it since you don’t know how the hot temperature may effect the liquid. Luke warm or cool water is fine. It is then recommended you use a sponge with a scrubby backing or a bristled brush to remove the remaining sticky residue. An SOS or Brillo pad also works well. If you do not want to spend a few moments scrubbing, there is actually a product called “ Goo Gone” that can be purchased at Home Depot, Lowes, Walmart or even the Dollar Store that easily removes sticker residue. Once the sticky residue is removed, make sure to thoroughly dry the bottle. The next step is to apply your fun or sophisticated personalized label by Favorite Announcements®. All of our labels are self-adhesive (peel and stick). We recommend placing the bottle flat, between your legs, so that the top of the bottle is pointing toward your knees. Remove your custom label from it’s backing, start with the center of the custom label and apply it so it is centered on the bottle. Then work out towards the left and right edges, carefully smoothing the label down around the bottle to remove any air bubbles. Your guests will love your personalized bottle label, and you will have added a personal touch to a wine, beer, champagne or water bottle!